Sound like a pro with these 15 solo guitar arrangements carefully written for intermediate-level guitarists. Each solo combines melody and harmony in one superb fingerpicking arrangement. 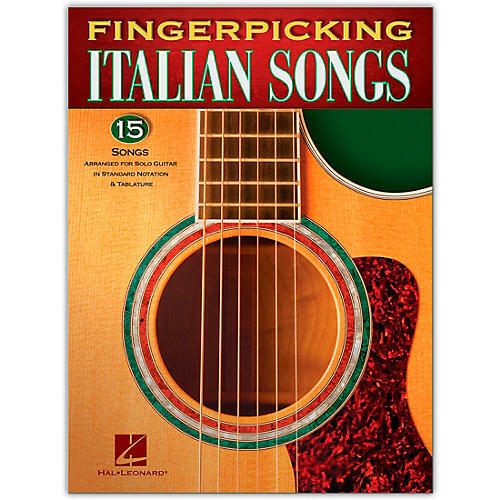 The book also includes an easy introduction to basic fingerstyle guitar. Songs include: Anema E Core (With All My Heart) · Cinema Paradiso · The Godfather (Love Theme) · Mambo Italiano · A Man Without Love (Quando M'Innamoro) · Return to Me · That's Amore (That's Love) · A Time for Us (Love Theme) · Volare · and more.